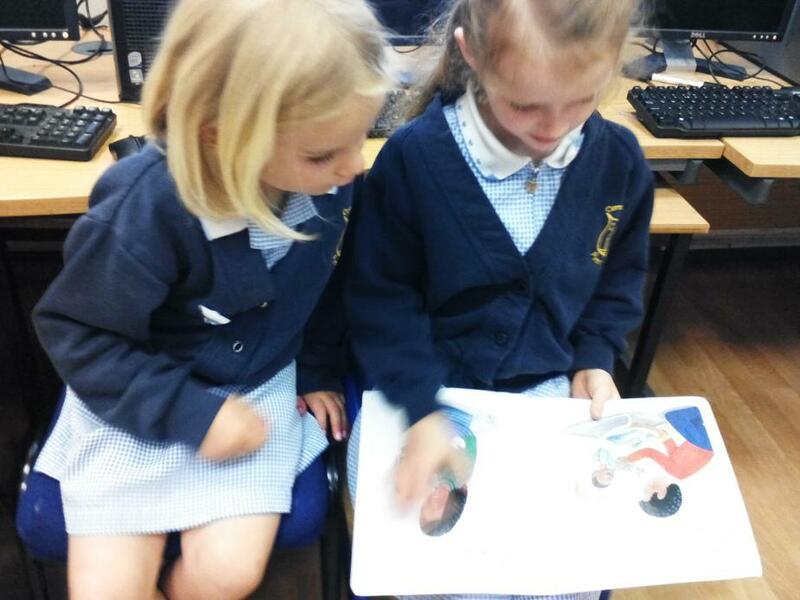 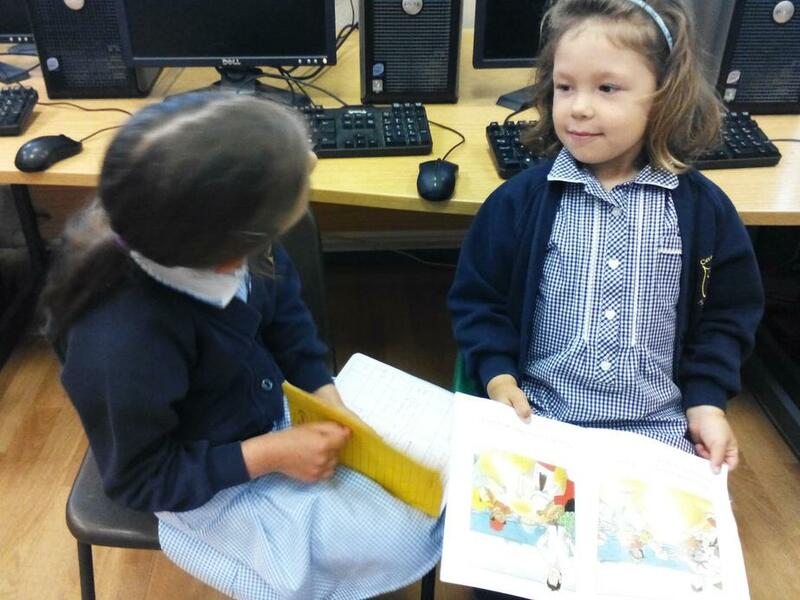 This week we have enjoyed a fun-filled week of Literacy! 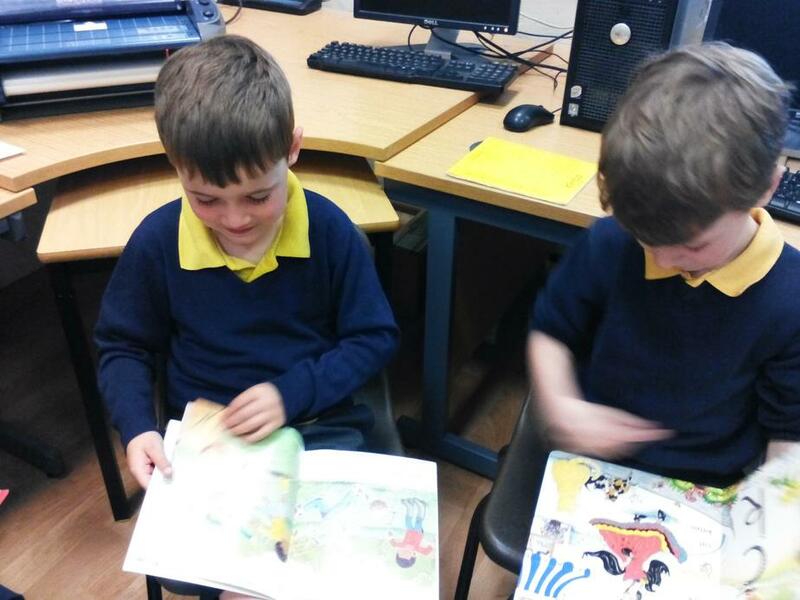 Giant class have enjoyed having a daily, paired reading session with children from Trendle and Abbey class; they have been very co-operative and confident We have tried to change the location of where we read our books too, we have read in different classrooms as well as in the hall and on the playground across the road. 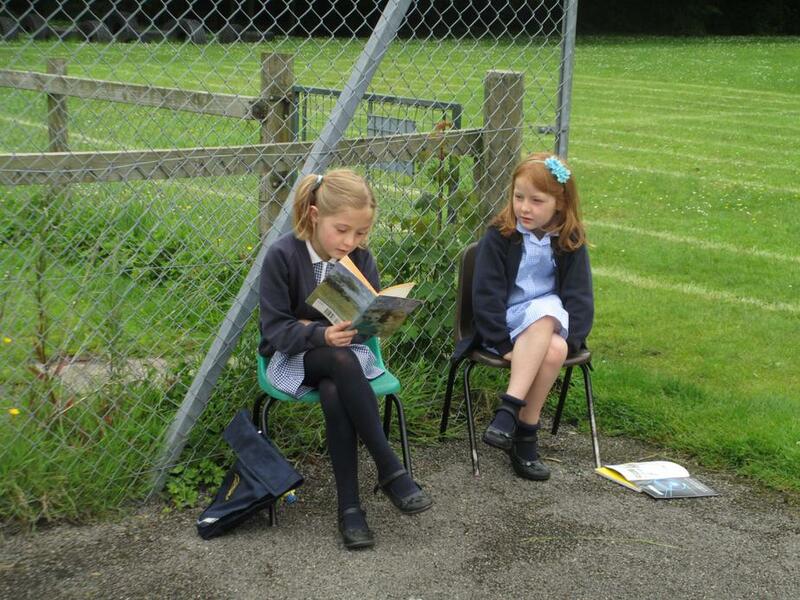 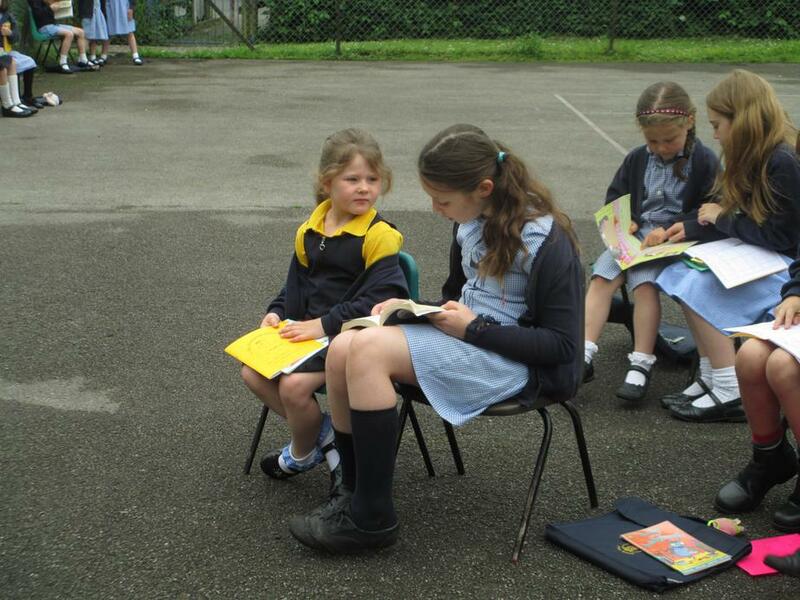 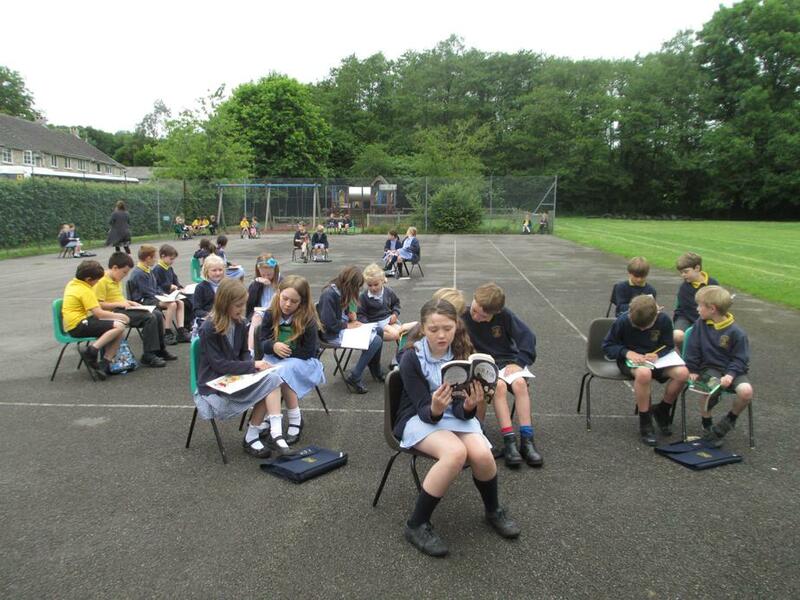 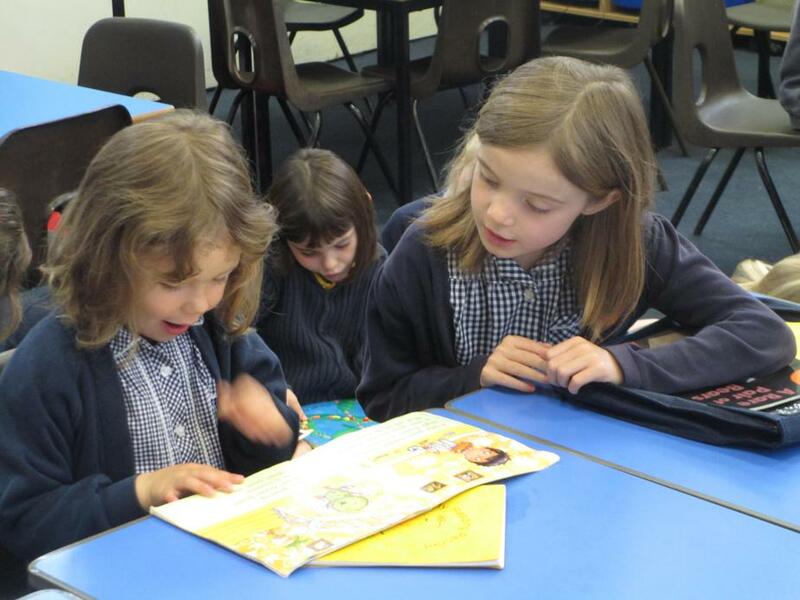 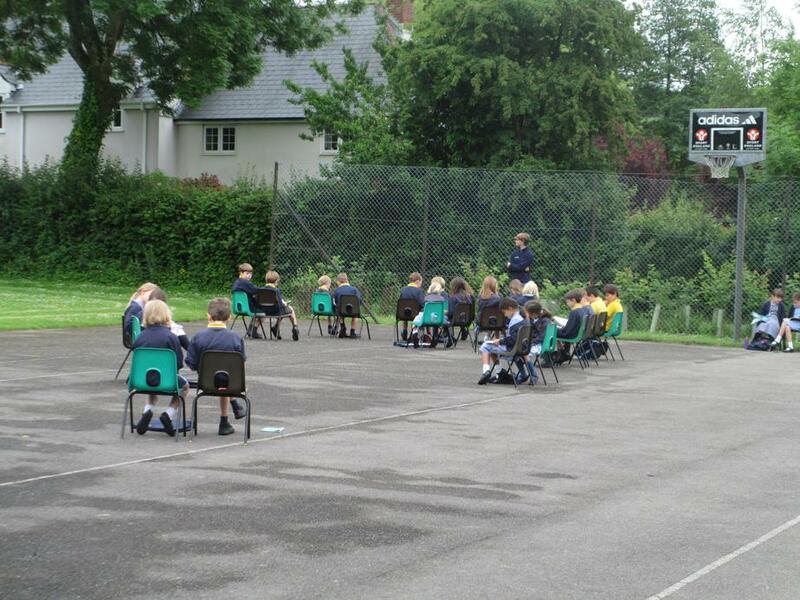 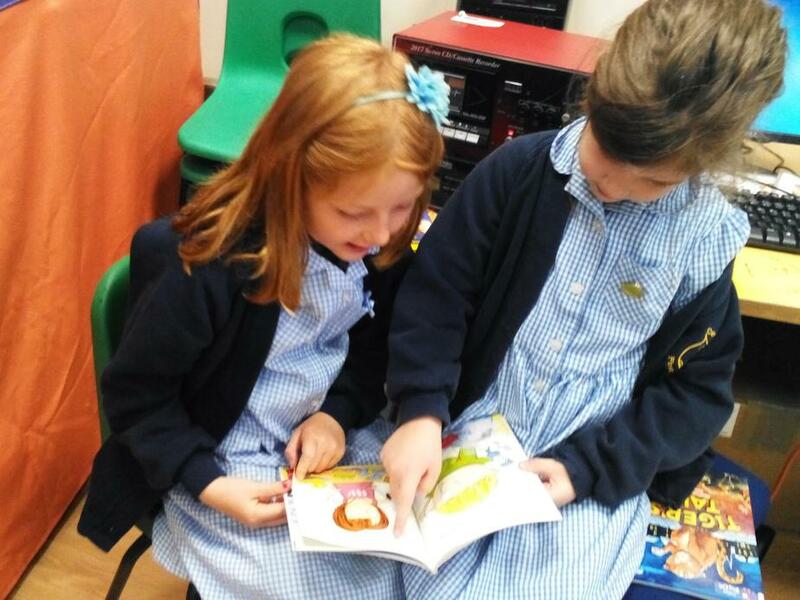 It has been lovely for the children to share their love of reading and for the children to record each other's reading by recording it in their reading record books. 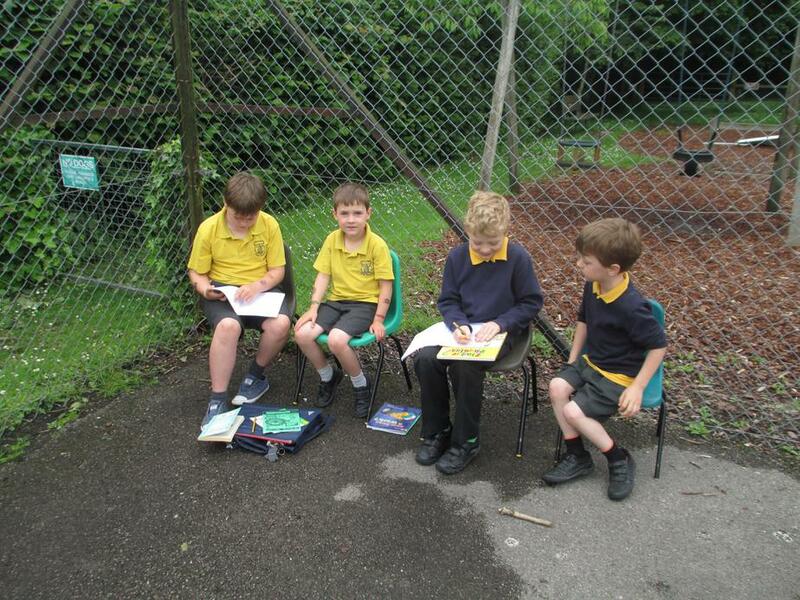 During this week our main focus has been writing a story about a dinosaur. 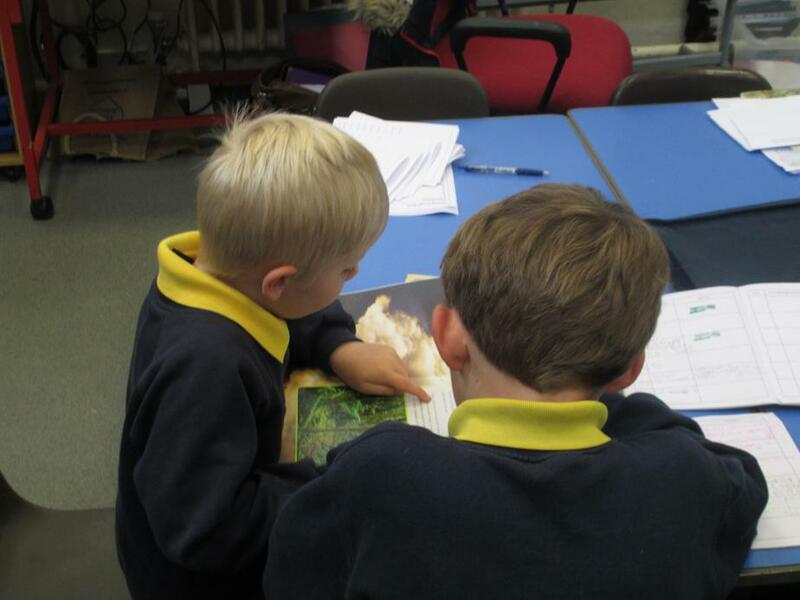 We have learnt about creating characters, settings and planning exciting stories. 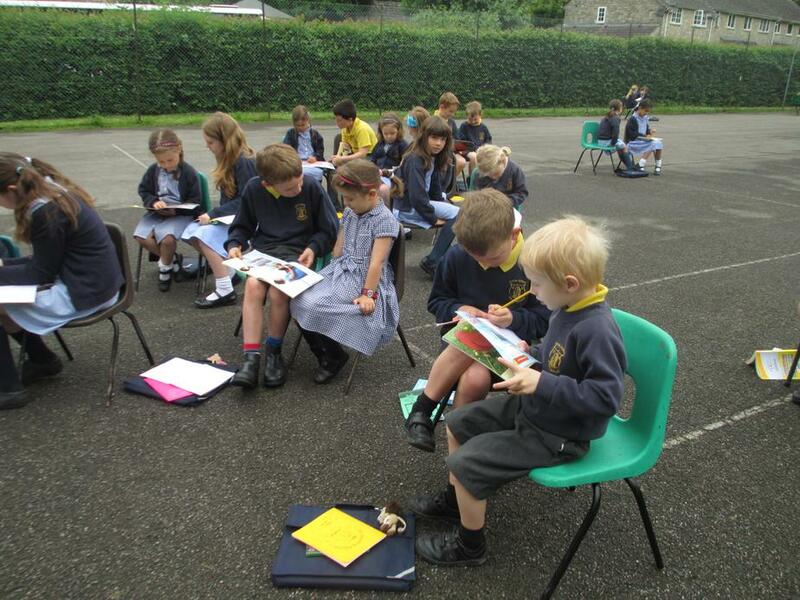 Giant class have amazed us with their fantastic writing! 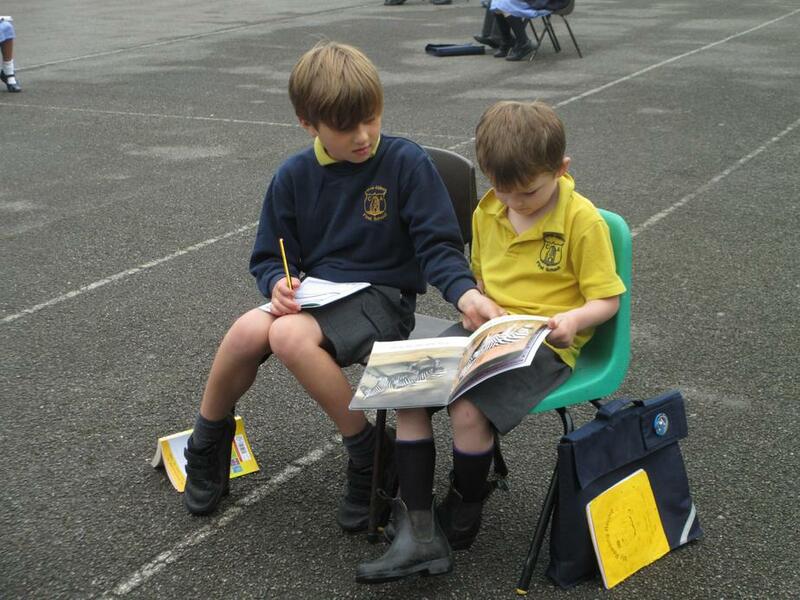 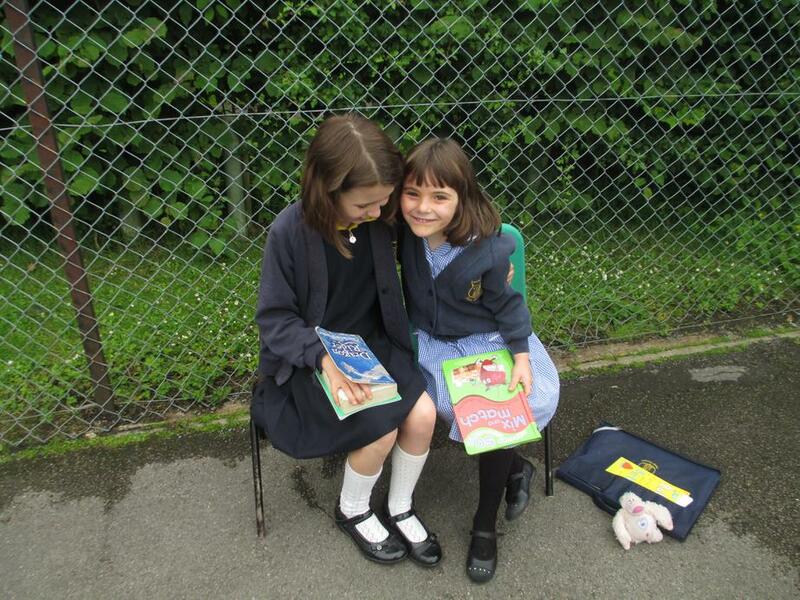 Parents will get to read their wonderful stories at our learning exposure at the end of this term.